Sports Rendezvous: World Rugby investigating Belgium vs Spain official controversy as Romanian referee is chased off pitch by players. 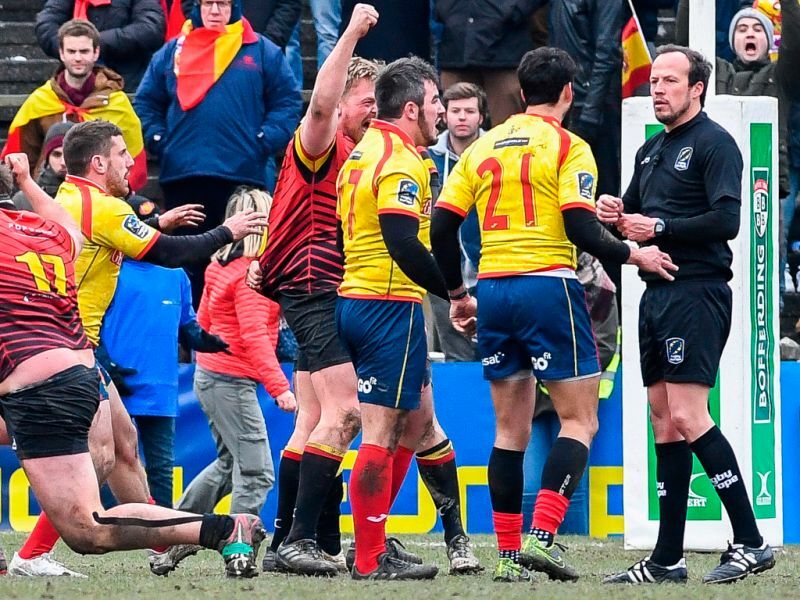 World Rugby investigating Belgium vs Spain official controversy as Romanian referee is chased off pitch by players. The Spanish Rugby Federation [FER] will make an official complaint to World Rugby over the performance of Romanian referee Vlad Iordachescu, with Sunday’s Rugby Europe Championship match against Belgium ending in disgraceful scenes as a number of Spain players chased him off the pitch at full-time. Spain were on the verge of qualifying for the 2019 Rugby World Cup having not qualified for the tournament since 1999, with the side only needing to beat Belgium – ranked 25th in the world – to join Georgia as qualifiers from the second tier of European rugby. However, they suffered a controversial 18-10 defeat in Brussels that saw Iordachescu penalise them 28 times to Belgium’s eight, and the matter was not helped given that the beneficiaries of Spain’s defeat were Romania, who have now qualified for Japan 2019.